Founded in 1983. Established to service customers better. Shred Right is a locally owned, privately held, information and document destruction company drawing on more than 35 years of industry experience. Our parent company, Rohn Industries specializes in recycling solutions. 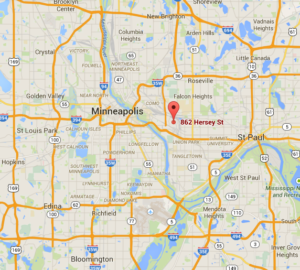 We are Minnesota’s oldest, most established destruction company. In 1983, Rohn Industries founded two companies, one to manage customer recycling needs and a second, Shred Right, to be part of the emerging destruction industry. Still privately owned by Rohn Industries, Shred Right has grown to become the Upper Midwest’s most comprehensive shredding company serving a range of Fortune 500 companies to smaller, entrepreneurial businesses. We hold ourselves to the highest standards. Yours. Standards are important. We are AAA NAID Certified for mobile on-site and off-site shredding vault services. Our team has worked with government agencies, financial services, health care industries and more, consulting on standards for privacy and security. But at the end of the day, we believe the highest standards we need to meet are yours. For 35 years, we’ve been trusted to manage liability, risk and protect corporate reputations for customers. Across financial services, healthcare, legal and medical, to insurance, retail, manufacturing and printing, we’ve worked with many of the Midwest’s Fortune 500 companies. We have all the latest technology, processes, systems, industry credentials, protocols, tracking systems and more, but none of this is meaningful unless it makes a difference for your business. Conduct an assessment of your business requirements for security, information and document destruction. Create a program that works for your business, security requirements, legal considerations and compliances. Establish a custom protocol for service frequency, timing, mobile on-site or off-site shredding vault services. Initiate the shredding project using our secure chain of custody process, includes a Certificate of Destruction. Follow up to insure customer satisfaction.